November 9: Turn It Around Day? November 9 is when I celebrate International Day of Compassion. Another tiny personal step toward peace, which evolved through my 9/11 Bowing Project. But as I prepare to celebrate it this year, I’m thinking that at this stage of our evolution, we might not be quite ready for compassion. Maybe it’s too ambitious an aim. Maybe I need to start smaller. Change that to Turn It Around Day; a day when I ask myself, What do I need to turn around in my life? What impulse to I need to rein in? What inconvenient truth about my imperfect human self do I need to gently, quietly acknowledge? Perhaps that’s a more achievable aim for this year’s November 9. Learning to love the hater in me seems like an ongoing project. A timely reminder on any day. So, wishing you a happy Turn It Around Day this Sunday, November 9! Perhaps you too, would be relieved to realize you can start small, with just one small dark dot to shine light on, and turn it around? Hello all – I would love to turn it around in 2015 and learn to treat myself in a way that is encouraging on this baby journey. I would love to turn it around and treat my body in a more loving way. My impulse at the beginning of a new year is “do this and do that!” in a most demanding way as if I am putting myself in the headlock and demanding change or else! I would like to take the opportunity though and this year take a step with change by offering myself a little compassion and maybe some patience and most definitely ask for help when I need it! I’ll drink to that, Katy. Here’s to compassion and patience and to reaching out for support when we need it. We all need it and we can all get it. That’s the good news! I continue to turn it around with engaging when it feels really difficult. I just wanted to share what happened at work yesterday. I work in oncology and have for 16 years. I was with a patient who was told they have months to live, not even a year. I sat there listening to the doctor and I was sitting with the patient while they heard this. I felt so so emotional. I felt so so awful for the couple who was hearing that their time together was limited. I had to fight back tears – I did not want to upset them if I started crying. I had a few things to do after that and then went back to my desk and I sobbed. Now I mention this because this is not the first time I have sat with a patient and heard this kind of news given. I have been upset before when I know a lovely person has a short time left on this earth. Yesterday though I REALLY felt it. I am still thinking of them today. Thank you for that line! I think what I have been doing is experiencing it and immediately trying to change it or ignore it or hide from it. I am practicing patience and wanting to be gentle with myself rather than whipping myself into shape. I really really needed to be with this orphan. Thank you again Julia for this challenge. It is really hard! It is hard but it feels very healing. What incredibly challenging work you do as a nurse in that environment. How much strength it must take to maintain healthy boundaries and to also remain a human being. This note in particular gives us a lot to work with in the next Visionary call. Yes! to that. So could you please alert me to it a day or so prior to the session and send me a copy of this comment. As I read this, I’m so glad we’ve agreed on this challenge, and so moved by your sharing and your willingness to be open to it. I am choosing the turn it around blog as my first comment for my commitment to really engage with this practice and my teacher! I am very grateful for this challenge and I thank you again Julia for your support! I am really struggling with this dominant orphan of not wanting to be engaged 100% where it feels scary. I can not seem to pinpoint why it does feel so scary b/c I really love this work! I think showing my cards and not sure of how someone will react just frightens me. I would love to continue to work with this orphan of being afraid to be vulnerable. She runs my life in a lot of ways. I was lucky when I met my husband (who I was afraid to be with initially) and a really good visionary friend pointed out to me that I always turn on my heel and run when I am about to get serious with someone. She pointed out maybe just maybe give the relationship a chance. That was the best and most scary decision I had made at that point. It ended up being such a beautiful relationship and now a beautiful marriage. I now asking for my visionary friends help again! I want to know how to allow this sometimes suffocating fear of engaging to be healed. I will continue to comment at least once a week and if something comes up more often I will definitely post. Thank you! Katy, I’m scared too. I think we all are to one degree or another. For me the understanding of the roots of my various fears often comes gradually. The practice helps me become braver at a safe enough pace. Seeing the Orphan in the mirror more and more clearly for who she is, helps me a lot. And then choosing humanoids who I can engage with on this “dangerous” level is the next step. We’re doing it, right here, right now, you and I. We’re turning it around! I don’t want my life to run around & controlled by pregnancy orphan. I want to turn it around to make my life more meaningful allowing pregnancy to be viable and let it happen when its suppose to happen rather than demanding and dictating when is it supposed to happen. I want to get out of pregnancy and baby mania. This is not helping me nor my body. The baby orphan is taking away the zest of my life by making it miserable and ultimately making it hostile for another life to spark. At this point of time, I just want to focus restoring peace , building strength, & faith in my body. But how do I turn it around? MH. Look up a book called 29 gifts called Cami Walker. It’s about a woman diagnosed with MS in her 30s who is so focused on her condition and her woes. She goes to see an African faith healer, who gives her an assignment to focus on something other than her problems. Basically to give 29 gifts in 29 days. I personally did this (more than once) and it helped. Worth a try. Thank you so much T !! I need some inspiration. I just requested one from the library. Will get it and start reading this during the Thanksgiving season. I just read 4 pages online and can’t wait to read this book T !! Cami – “Thinking about myself ?” I howl. I start in on her about what a wreck I am, what a wreck my body is, telling her I don’t have room to think about anything except myself right now. I can relate so much to the last sentence. Well not just a disease but any situation, if we over think and over do, it seizes all our energy out of us. What do I need to turn around? I could agree with MH that every time my period comes or about to I go on a roller coaster ride of emotions. A few day later I am more visionary rooted, but lately every cycle I am struggling. I also am struggling with food choices during this time. I am giving my orphans space but I am letting them run the show some days. Continuing to dance with this orphan! After some discussion on the boards here, I feel I need to turn around my energy regarded pregnant women, most especially those I know and love. My jealous orphan screams her head off and can’t understand why it’s not her turn. Ever. Sometimes I can be totally accepting and revel in all these women have to teach me , but most of the time I look at them with evil eyes… this is something I need to turn around because I can’t keep perpetuating such negative energy. Right there with you Lori. Sooooo right there with you. And your observation about the energy drain is right on the money. Let’s resolve to try and turn it around and draw energy from the preggies, as others on the forums have suggested. Oh MH! Me, too. It’s so exhausting. I feel every single body sign must mean something, so I spend so much time being nagged by that bird you mentioned. I overanalyze everything—is that a cramp? Period arriving or implantation? My breasts hurt–a baby, or too many upset hormones getting out of whack? Acne–pregnancy hormones, or perimenopause? Tired–a baby being formed, or me getting old and unwell? AAAAAAAAAAARRRRRGGGG! How can we turn this around? I don’t know how. I don’t know how to just stop getting so laser-beam focused on my cycles and my body. yes these are very familiar feelings. Fo me I just hit the wall so badly that there was no way I could continue this way. I was not only jeopardising my relationship with my husband but I was also hurting myself badly. Self harming ;( That’s why Julia’s post resonated very deeply….. Learning to love the hater in me…. becoming aware and admitting to myself that I’m hurting myself seems like a good starting point in this journey to learning to love the hater in me. I love this! What needs to be turned around for me are a couple of things. 1.) I need to stop labeling and being ashamed of the hater in me, the “negative” orphans. I push them away because I am not supposed to have them. But I need to turn that thinking around and let them play, yell, be heard. But how? Still working on that. 2.) I need to turn around my almost immediate jump to fear in so many aspects of life, especially regarding my health and baby journey. I am tired of living my life in an anxious abyss and I want to turn that around. I want to bow to what is, believe that good things can happen, know that I am deserving of blessings. Once my UM showed me that I could feel proud of all of this effort and work I’m doing to gain a third child instead of feeling ashamed and greedy for wanting more, I have practiced my OVUM work much differently, all for the better. That fear I am not deserving of more is still there, but at least I can see around it. I’m slowly starting to toy with the idea of “why not?” Why not believe this can work? Why not believe I am fertile? Why not?? I seem to have a lot of anger coming out right now and I am hurting my daughter and husband with it. I didn’t even realize that I had an angry orphan. I want to ‘turn it around’ by learning more about my angry orphan and finding a way to let her speak. I want so much to give my existing daughter a more peaceful, kind and joyful mother. And if I am blessed with a second child that we desire, I will have so much more to give to him or her! I also love “my children have their own timetable”:) The thing I’d like to work on is turning fear around to hope. After my last IVF cycle that didn’t work, I’m finding it hard to be as hopeful as I was the last time for the one that’s coming up. I think part of the clue to doing this may be in making friends with the darkness, so thank you to those on the board who reminded me of that. Daily, I remind myself of this Anasis Nin quote “And the day came when the risk to remain tight in a bud was more painful than the risk it took to blossom.” I am using the imagery – specifically “Sacred Choices”, which I think is just perfect – to help keep my heart open, and my hope flowing. That is one of my favorite quotes!!! Good luck to you ! Listening to this prayer/poem I felt compassion for myself. Just this week my orphans of self disgust have been starving for attention and I need to love those hater orphans more than any other at the moment. For me, compassion and love for others is so easily given and I enjoy giving it to those in need, however, for my own orphans, myself, I need to turn that compassion around to me. I know exactly what you mean, Lori! I wrestle with the same challenge. Learning to truly love ourselves, is I think the highest of all arts. I’m not sure how this relates back to my fertility, but what immediately came to mind after reading this post–and also something that’s been on my mind the last couple of weeks–is that I would like to stop participating in workplace gossip. It doesn’t serve me and it certainly doesn’t serve the people I am gossiping about. I have a very big orphan that needs to be accepted by my peers at all costs, even if it’s at the expense of others. Participating in gossip makes me feel like I “belong” with my co-workers, but it also makes me feel bad about myself in the process. This is definitely something that I’d like to turn around. Well I have many things to turn around but for now one thing that I have off late realized is I never forgive nor forget anyone who hurt me or insulted me. Through one of the family incidents, I started realizing this attitude of mine could cost me heavy down the lane and hence and since then I am trying to learn to forgive. Love the hatred, unforgiving orphan in me and make her understand this path doesn’t give you peace of mind, to free up the space and energy for better usage. What needs to be turned around for me is being less attached to process both with my daughter and in my baby journey. The tunnel imagery, Julia, was perfect for where I need to be. I need to be at peace with the dark – with not knowing what is going on with my daughter and with my journey towards my child – to make friends with the darkness. I have been fighting it – wanting it to be light all the time. It was wonderful to feel I could call on helpers to accompany me on my journey. I am doing the tunnel visualization and Rock the Baby Fertile Heart body truth. Thank you so much Julia. You are most welcome Robin, thank you for engaging with this post! I’m glad that imagery hit the spot. A useful practice for all of us, befriending the darkness! Julia- we often talk about imagery being such a important and powerful fertility drug. Monday’s teleconference really nailed that for me. That tunnel/playground imagery was so beautiful and uplifting- the timing was truly divine. It reminded me to not be afraid of the unknown /the darkness. It was much needed! turning it around with ready “issues in my tissues” last night! The line that was staring at me was “running around in my neat skirt and green juice and pointing at the clock!”..whilst spilling the green juice all over me. That is me! That was me! I started this journey exactly 4 years ago and 4 years ago in my mind I had 2 children by the time I turned 40 – alas my children have a different time table. I am really great at making rash decisions but right now I feel the need to decide on a few things for myself. I am thinking of pursuing some lab tests on my hormone levels and I am thinking of seeing a new doctor about possible treatment. However I do not want to jump at this and make it happen now. I want to sit with my Os and Vs and some UM and see exactly what truth is coming and what path I feel drawn to take. SLOW DOWN is my mantra right now. What inconvenient truth about myself do I need to acknowledge?? And what do I need to turn around? Following through the f*ck you theme from tonight’s call….I need to continue to give the ugly (orphaned) parts of myself room to speak. And even scream at the top of their lungs if they need to. I’m just beginning to realize that stuffing these feelings down only make you go backwards. And prevent you from finding your way through to the visionary that is often waiting to step forward from their midst. I had a breakthrough this week with allowing one of my ugliest raging orphans express how she really felt about a family member getting pregnant. And then not too long after, made a beautiful discovery about the underlying visionary part of myself. The only child that longs for blood family and is the driving force leading me down the path to this child. So that’s what I commit to turn around. To let the orphans speak, but to follow the visionary down the path. You Must Love the Hater in You. This is so true yet so hard to embrace some days. Like the days were I am so at peace in this journey and then out of no where I am blindsided by feelings of bitterness, anxiety, loneliness, and hate/anger. I will watch this poem on the days when I need a reminder to love the orphans that are appearing instead of pushing them down! Embrace such a beautiful word! Julia-there are days when I think no one can truly articulate into words the angst and anxiety I feel inside on this journey. This poem does. I need to work on self-love and embracing that hater inside me that says cruel things and undermines my progress. This anxiety, self-doubt, and internal criticism is something that has been passed down through my maternal family line and needs to be healed. What needs turning around in my life is self love and trust in myself. Loving the hater in me is something I need reminded of daily! 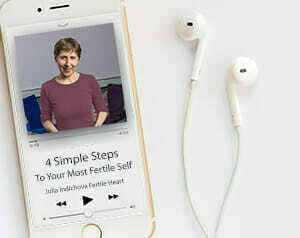 I read a book recently and thought of Fertile Heart tools. It was by a “spiritual teacher”- she was one who really focuses on positive thoughts and only focusing on what you want etc. However she wrote this book after two big family tragedy(s) and she had all this built up “un met emotions”. She said she was full of anger, rage etc. She ended up walking the Camino de Santiago and worked through all these unprocessed stuck emotions. That is what her book was about was that walk. Honestly it was like reading a book about someone’s very long, very continuous body truth! Anyways reading that book just really honed in more to me the importance of not ignoring our Os! To listen to them and not hush them up. So for Nov 9th I will continue to “turn it around” and be kinder to myself (my V and Os!). I really do need to start there as I can be my own worst critic. Who knows what path that is or where it will lead? But I can say with complete sincerity that I am genuinely grateful that I did not get pregnant in November, not only because I would never have found this path, but because I would never want now to bring a child into the life that I would have done then.